The digital multimeter has replaced the PMMC meter and is an indispensable tool of all engineers today. Whether it’s a handheld workshop tool or a fixed installation on a satellite, multimeters are embedded in devices everywhere. This unit of the Universe of Instrumentation is important as many other instruments depend on digital volt, ohm and ammeters to drive sensors. This is the foundation of many instruments. One simple example of this is digital imaging which uses volt detection for each pixel receiving light energy. Reading the voltage in a grid helps map out and display images. As early as the 1950s pioneers of technology were trying to make a solid state voltmeter, however it wasn’t until the 1970s when semiconductors became cheap enough to make it practical. The Fluke 8020A became the first reliable hand-held digital multimeter in 1977 and represented a key point in history of the meter. By the 1980s methods of manufacturing integrated circuits became cheap allowing the digital multimeter to take hold on a wider scale. The Fluke 8020B hand-held multimeter was an example of the success of digital multimeters as it has sold more than 1 million units by the end of the 1980s. Digital meters vary in size and design. The most common is the “hand-held” digital multimeter (DMM). If you study electronics you will start using the DMM almost immediately and they can range in cost from $ 0.97 to $1000s. Here is an article on the first practical digital multimeter, the Fluke 8020A DMM. Most of the meters we have discussed on our web page relate to portable volt, amp or multimeters used by engineers of all types, however many of the important links in our utility system are fixed meters: either small “can” meters that you find on your house, or utility line meters which can be boxes or cans mounted in remote areas and at the main control points in the system. Most of the new meters are “smart meters”, meaning they interact with computers and control systems which can lead to great energy savings over the whole grid. The new smart meters that you see on homes and businesses monitor watt-hours and some communicate wirelessly on the 902 MHz or 2.4 GHz bands. This automated meter reading (AMR) allows power companies to drive by a property and pick up the signal. Smart meters contain information on power use over time. There have been concerns that thieves and hackers are also able to pick up these signals and be able to know the exact habits of the homeowner to plan a break-in. In the future it will be necessary to have encryption for wireless transmissions. A Form 6 Relay control, high voltage meter used in power utilities. 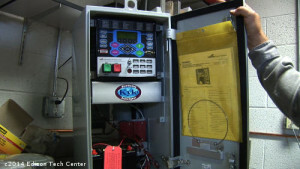 Companies like ABB and Eaton Cooper Power Systems have created advanced digital meters used with high voltage lines. Current transformers and Potential Transformers are used to reduce power levels to a proportion of the primary lines and the signal is fed into digital meters. New digital meters that track, store and report measurements to central utility control form part of what has been called the “smart grid”. The analogue to digital conversion component developed for digital multimeters is now ubiquitous in other technologies. Digital thermostats to micro controllers to satellites all use technology from digital multimeters as part of their system. Even automobile sensors use the analogue to digital converter as part of the network of sensors required for modern fuel-injection engines. This is the newest period of innovation in our discussion of measuring electricity (Unit I). Andrew F. Kay – 1952 He came up with the term “digital voltmeter”. People continued to use that term long after the “digital multimeter” was developed. Kay saw unskilled workers in factories using and quickly destroying analog voltmeters. and was motivated to develop something better. 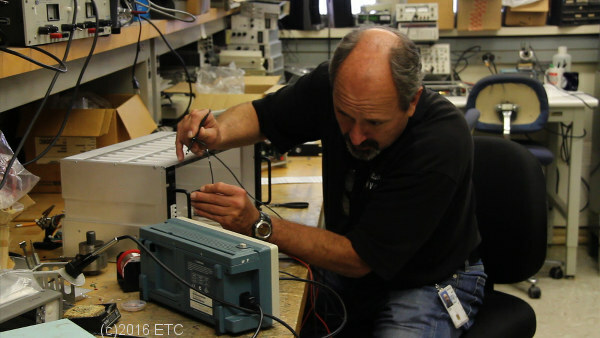 He first worked with vacuum tube multimeters before going to solid state. Charles Newcombe – 1966 joined Fluke to become product planner and after three years the team had developed the digital voltmeter at Fluke. The digital voltmeter was introduced by NLS, a California company in 1955 – the same year Fluke introduced the Differential Voltmeter. Fluke now dominates the world market for DMMs from 3.5 digit units at 0.1% accuracy, to 8.5 digits at 0.000003% accuracy. 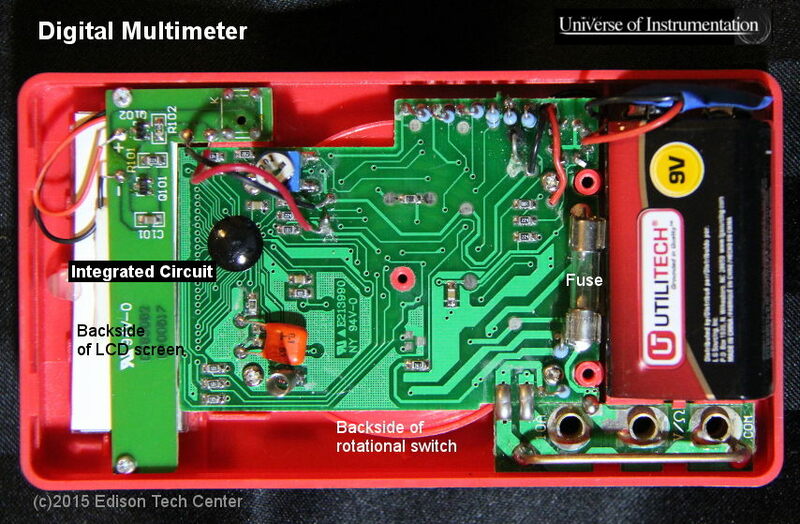 More on digital multimeter history.